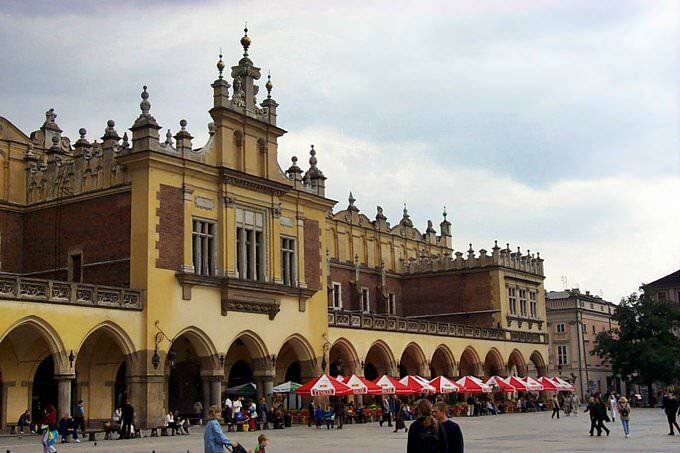 What are the most important landmarks to see first and foremost in Krakow? 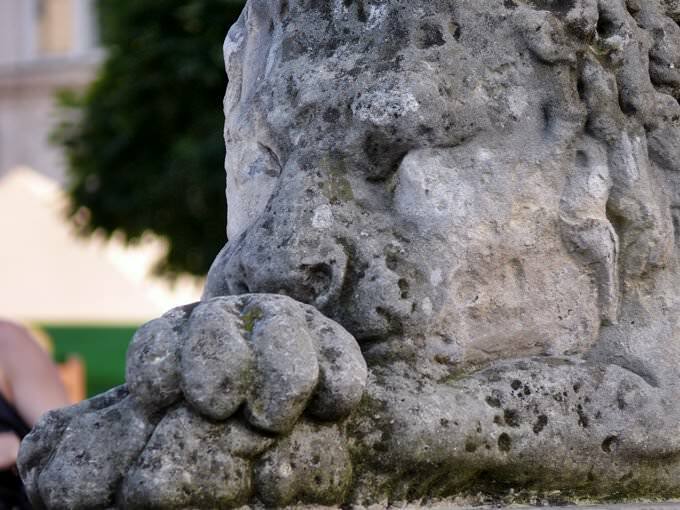 Without a doubt, the original architecture of the city deserves the highest attention. Church at Skalka, Cloth Hall, Barbican, Kazimierz Town Hall, Town Hall Tower and many others – are the architectural landmarks that attract millions of tourists every year. Let’s visit Krakow right now by making a virtual tour using our fantastic 3D flight simulator! Just start the video on this page and make a flight over the main sites of Krakow, which are presented in a three-dimensional format. Besides that, our review includes interesting facts and colorful photos of every monument. » The Cloth Hall building is the covered shopping arcade. » Earlier this place was a major center of international trade. Trading hall was the source of a variety of exotic goods from the East, including spices, silk, leather and wax, while Krakow itself exported textiles, lead, and salt. » Many famous people such as Charles, Prince of Wales, and Emperor Akihito of Japan have visited the Cloth Hall. » At the top level there is the Gallery of the Polish art of the 19th century, which is a branch of the National Museum in Krakow. 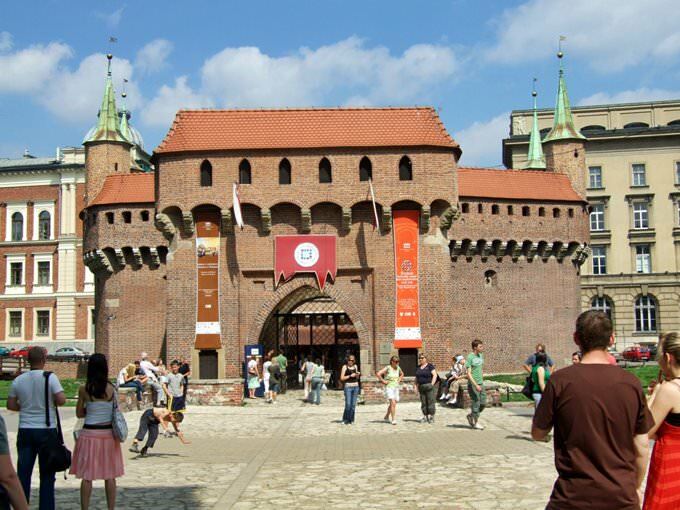 » Barbican is the historical landmark in Krakow; the former is the most northern part of the city walls. » Barbican is a branch of the Krakow Historical Museum. » Barbican was built in 1498 to protect Krakow against attacks of troops of Stephen the Great, the Ruler of the Moldavian principality. » Walls of this structure are 3 meters thick. » Currently indoor facilities include various museum exhibitions dedicated to Polish Championships in fencing, historical reconstructions and ballroom. » Kazimierz Town Hall is the historical and architectural monument located in the historic Kazimierz district of Krakow. » The Town Hall has been built in the 14th century and was reconstructed several times in the 15th century. » The Town Hall Tower is the only extant part of the medieval Town Hall, which was destroyed in the early 19th century. » Since 1947, the Town Hall has being housing the Krakow Ethnographic Museum. » Currently, the museum has a collection of 8,000 objects related to Polish and European history. 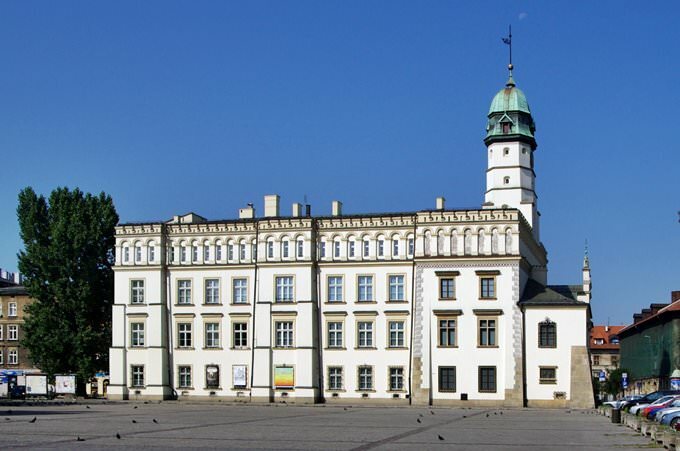 » The Town Hall of Krakow is located in the oldest district of Kazimierz. The history of its construction begins with the fact that in 1335 King Kazimier III, on the basis of granting the city the Magdeburg Rights, determined the plan of the main square with the Town Hall. » Originally it was a wooden building, and then a brick building was erected in 1414. » For the past several centuries various disasters happened with the Town Hall. The dilapidated and abandoned building was dismantled, leaving a 70 meter tower. Until now, only fragments of the building in the basement and on the first floor have survived. » In 1960, the city authorities carried out a restoration work, which turned the tower into a worthy and fascinating attraction. Nowadays, Ethnographic Museum is open here. » The cellars of the old town hall are of the same historical value. In the past, it was used as a city prison, a tavern was also located inside. 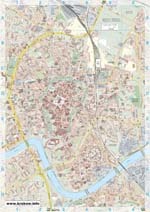 » In 1931 the basement was added to the register of monuments of the Małopolska Voivodeship. Now a coffee house is located in the pile, and also there is a stage of the national theatre called "Scene under the Town Hall". 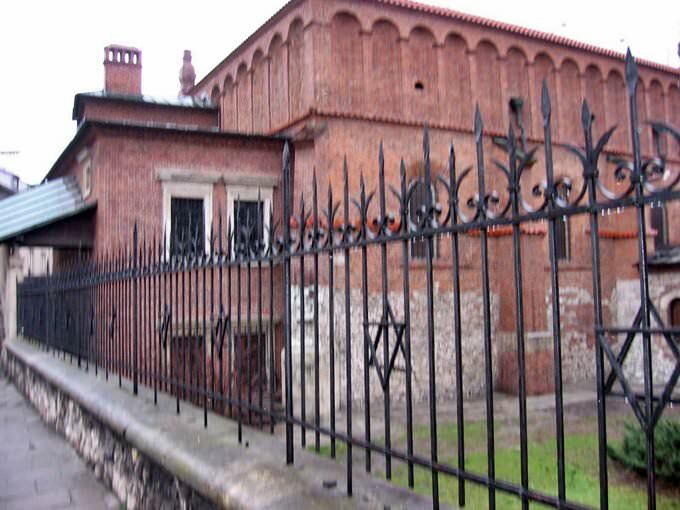 » The old synagogue is located in the oldest district of Krakow, where Jewish families lived in the past. This area of Kazimierz is named after Casimir the Great, who founded the place in 1335. » The synagogue was built around 1407. One of the walls served as a protection for a small town. It had only two rooms and only men visited it. » After a violent fire in 1570, the Italian architect Mateusz Guzzi helped to rebuild the synagogue. A spacious hall and a room for women were built then also. » During the Second World War, when the Nazis liquidated the Jewish population, there was a warehouse in the synagogue, and all the rich furniture, a centuries-old library, archives were taken to Germany. » And only in 1959 the city started restoration of the building. Nowadays, here is a museum of culture and history of Jews. Facts: » Krakow Aquapark is one of the main attractions of the city. That’s the largest water park in Poland. » Aquapark features a wide variety of open and closed slides, the longest of which is 202 meters. » Sliding in a purple tube is accompanied by sound and light effects; tube length is 163 meters. » Yellow (147 m long) and green (107 m long) waterslides are aimed at fans of high speeds. This guide to architectural sightseeing in Krakow is protected by the copyright law. You can re-publish this content with mandatory attribution: direct and active hyperlink to www.orangesmile.com.